Sedona AZ (October 24, 2018) – On October 23, 2018, the city council authorized a formal cost-sharing agreement with the Arizona Department of Transportation, an administrative action that allows design work to begin this fiscal year. Because the intersection is within ADOT right-of-way, ADOT is the managing agency for the project and will share costs,. The city will contribute 50 percent of total funding. The city is working with adjacent business and property owners to maximize parking space retention and ensure access needs are met. Assuming design work and right-of-way acquisition proceed as planned, construction is expected to begin in FY2021. This project would allow a portion of traffic to bypass fully entering the SR89 / 179 roundabout by adding curb-separated right-turn lanes for vehicles headed southbound and northbound. With no traffic it takes 12 minutes to travel from Bell Rock Boulevard to the Y. In severe congestion it takes 36 minutes. This level of severe congestion occurred on six days between February and June 2017. This project is expected to reduce travel time from 36 to 24 minutes during peak congestion periods. Estimated cost is $2.7 million. This is a bit perplexing. The back ups on Northbound 89A that often go to Airport road are not caused by the inability of traffic to move onto southbound SR179. They are caused by SR179 going to ONE lane southbound from the 89A/179 roundabout. Now this proposed program adds another lane, a slip lane which makes TWO lanes going into one lane approximately in front of Sedona Motel. 1: You have pedestrians stopping traffic. 2: You have traffic coming from Portal Lane back onto SR179, and people letting that traffic in. 3: You have TWO parking lot exits from Tlaquepaque that are exiting onto SR179 Southbound, people stop and let those cars come onto the roadway. 4: You have THREE left hand turn lanes from Northbound SR179, two into the Tlaquepaque lots and one into Portal Lane. Every one of those left turn cars stops Southbound SR179 traffic. 5: NO mention of stopping cars from the big gravel lot AND Los Abrigados from exiting onto SR179 Southbound, and forcing them to exit onto Brewer as many cars are NOT going Southbound on SR 179 but want to go Northbound into Uptown or West Sedona. Portal lane should be one way from 179 to the gravel lot entrance. Now you force them southbound on SR179 out of Portal lane even if they want to go north into the Schnebly round a bout to do a 360 to the northbound lane stopping Northbound 179 traffic at Schnebly and adding to the congestion in front of Tlaquepaque. Not to mention backing up Northbound SR179 back towards the Chapel and beyond. 6: You already have traffic coming from Ranger Road. People are using Brewer to Ranger as the “slip lane” today, then Southbound 179 traffic stops to let these cars in backing up traffic to the round about even more. You want to talk about the Northbound slip lane to uptown? Your backup into Uptown on SR 179 is a result of ONE lane through Uptown. You are already feeding TWO lanes from the 179 roundabout into 89A northbound which goes to ONE lane. Two to one – slows and stops traffic. Now they want to add a THIRD slip lane into the same ONE lane. Why not add 10 lanes into one lane if the experts think that traffic flows like air – compress it and it moves faster. What is amazing is that in Uptown, the “plan” is to add a SOUTHBOUND 89 A lane, when we are trying to get traffic OUT of the city. If they are going to add any lanes in Uptown, is should be a lane Northbound, in addition to their elevators, pedestrian overpasses and roundabout at Jordan Road. Sorry folks, it does not take a rocket scientist just to observe what is going on, just drive it several times a day and understand that in ANY traffic situation any time you have uncontrolled turn lanes, pedestrian crossings and reduce ANY number of lanes by 1 lane or more that traffic backups up or stops. Anyone driving to Flagstaff recently where they are paving and taking lanes from 2 to 1 can see what happens, not to mention the accidents of people trying to “fit in” as that right or left lane starts to disappear. BUT – if you pay attention on I17, there is one VERY IMPORTANT lesson to observe in traffic flow. After the two northbound lanes finally merge to one lane, what happens? The cars are in a single lane with NO impedance ahead, so they speed up and smoothly transition up the hill. Obviously on I17 it eventually goes back into two northbound lanes but in the case of Northbound 89A PAST uptown, OR Southbound 179 PAST Schnebly road you NEVER have a back up as traffic has nothing to interrupt flow. Very seldom if at all do you EVER see any backups on southbound SR179 or Northbound 89A past uptown. The planners are NOT looking at the whole picture, just little pieces and as long as they do that, millions will be spent with little to no improvement in our high traffic seasons. I live in the village and during the traffic time, say 11:30 to 3:30 most days it take an hour to go 6 miles. Who ever did the timing is a liar. The Y and To Lock your Progress(TLLAQ) will always be the problem because you IDIOTS allowed a crosswalk across the middle of a highway. Own it. When it comes to traffic it would nice if you were transparent and disclosed to everyone here that YOU and a few others were single-handedly responsible for the replacement of the old 2 lanes S/R 179 with brand new 2 lane S/R 179. I remember way back when the biggest fight of the century for Sedona was 2 lanes vs 4 lanes. I attended many of those meetings and remember that you had a plan. Now look, your plan won and we have plenty of traffic, so much for your plan working. ~YOU pushed for 2 lanes when ADOT said we needed 4 lanes for future traffic growth and guess what WE’VE GOT THAT TRAFFIC, thank you very much. ~YOU wanted no lights when Sedona needed lights. ~YOU wanted no on Home Rule. ~YOU say a PBA is just a safety net when it’s not necessary. ~YOU say we don’t need to support our floundering schools by continuing the Budget Override. ~YOU pick a slate of city council candidates who have no idea of what they’re talking about. Spoiler Alert, you can’t claim ~0~ dollars on a campaign, have your PAC pay for everything AND NOT REPORT IT!! Oh and you guys are all millionaires but you can’t spend your own money??? The only thing that’s AMAZING Schroeder is that YOU really think that YOU know everything. I hope the smart people continue to vote against Schroeder for everything he touches. Who is in charge of Sedona In Motion? Who did the traffic study and where is it available to the public? Who is or are the Sedona City Traffic Engineers including their departments and people in those departments and what are they each paid and what are their credentials? Mike, Mike, Mike, don’t over-analyze! The main thing is that they care, they are busy doing something, and they are spending money on “road improvements” — $30M worth thanks to Home Fools Rule. When are you going to learn that you are in Sedona where intentions count for way more than cold rationality? If it’s true Mr. Schroeder was on the committee that kept SR 179 as a scenic highway and built it as is with my tax dollars, I salute you sir and most everyone here in the Village thanks you. We love it. It’s a great highway. The negative is that Sedona city councils screwed it up at Tlaquepaque like the others said. The road works great 99.9% of the time in the VOC when I use it. I don’t go uptown when holiday traffic’s here, I go Beaver Flats to Cornville and then west Sedona or Cottonwood because it’s faster or I will go I-17. Doesn’t take a rocket scientist to figure out Sedona doesn’t need me on holidays to be trying to get through the city limits when I can do it on other days and ways.Thanks again Mr. Schroeder and the unknown Scenic Highway group. You did great. Tlaquepaque had the zoning for the North side of 179, It did not even need to go to the city council….. under state zoning law the city can not stop any development if it fits the zoning….. just an FYI most of the vacant lots in Sedona will not need to be approved by the P and Z or the city council. 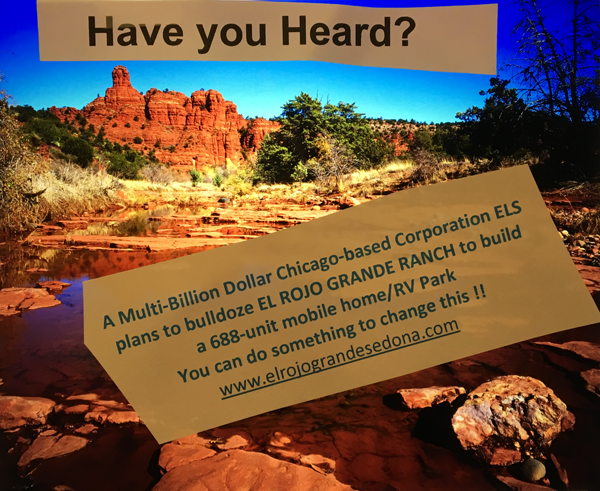 Sedona will grow and , just why doe people driving in card have more rights then people crossing the street in the cross walk….. remember we are a tourist town. Chicago , LA , Boston and Atlanta have traffic . Sedona has tourists at peak times . Mr Schroeder don’t let the facts or the law get in the way of a good story or of a post not based on reality or the law.. Is this how your gonna govern the Fire board as well… Make it up as you go along .. We already had members of the Fire board that did that already… They all got recalled for incompetence . I’ll be sure to remind everyone who asks for a low water bridge at the end of Verde Valley School Road how most everyone loves it. You just saved the taxpayers a bunch of money. We at the Chamber suggest you drive or shop between 7PM and 7AM. Traffic is very light then. Do not venture out on the weekends, business hours or holidays. Save the roads for our day trippers. Surely you have not read the instructions to the Chamber from the city to market the slow times so there is no slow time. Deal with that. The visitors at tllaq should have to walk to the crosswalks on The Schnebly cirlce to cross the street and that one crosswalk should be closed for business. The city might want to place a medium in between the two existing lanes right now at the 89/179 circle to see how this idea will work before they spend 3 million dollars and cut off existing businesses access and take more land away. It will give a clear picture how it will work. When it is built, I will go to the lane furthest left and cut over to 179 so I don’t have to wait to be merged in. See , a new problem. @sarahwalshairportroad I get it. You like to twist and lie. Likely connected to Chamber and Council. You took @BobVOC and twisted and lied about his points, he was complementing SR179 for its beauty & how it works to keep traffic moving thru national forest from VOC and that it does perfectly. It’s the bobbleheads in the freaking city that screw around with traffic patterns. Shroder is correct about the extra traffic lanes being useless. Not only that but lane dividers make it worse by not allowing traffic to self correct until committed. (Thank you buddy in ADOT office for that review) WTF city council? The low water bridge does NOTHING to improve traffic flow. (Thank you again buddy in ADOT office) The Village already has Beaver Flats like someone said and I’ll say it too. It’s faster and more convenient and doesn’t effect ONE SINGLE HOME OR ROCK ADVERSELY. WTF are you people not standing up for our scenic views and beauty and quiet neighborhoods in the VOC?????!!!!!! Get in their faces and tell them to back off. Write letters. Put up signs. Go to Big Park and Yavapai Supervisor meetings. Go to Sedona meetings and be visible and irritated instead of passive and walked on. ORGANIZE. BE LOUD AND PROUD. My niece owns store and property in Sedona asked me to check this out and write my opinion. Here it is. Looking at GPS road views indicates easy pedestrian crossovers are already at TWO Tlaquepaque/Hillside/Tlaquepaque North/89A/179 roundabouts (using your terminology not ours). #1 SR 179 roundabout: Schnebly Road is an exit off this one; stripe schnebly entrance and exit for pedestrian crossover AND #1A, same roundabout – at its SR 179 entrance and exit – mark crossover for pedestrians. There are short and upgraded bridges and sidewalks to and from that roundabout to all shopping areas in Tlaquepaque North and Hillside South. NOTE TO CITY: YOU DO NOT PUT IN A PEDESTRIAN CROSSOVER on the NORTH SOUTH SR 179 Highway as it undermines the purpose of roundabout traffic control design. Eliminate pedestrian crossover, leave new turn lane into Tlaquepaque South. ONLY Use the roundabouts to move all pedestrian and vehicular traffic. Roundabout #2 at SR 179 and SR 89A: receives the same pedestrian crossover at the entrance and exit of SR 179. No pedestrian crossover otherwise on that roundabout as it flows pedestrian foot traffic to Tlaquepaque North and South (both sides) and to Uptown which has a crossover further up into the shopping area for foot traffic to reach other side. Bottom line: Eliminate pedestrian crossover just feet away from both these natural pedestrian crossovers which already yield traffic. Yes niece I will take that dinner when you come visit. Too many Eddie’s but at least it’s a spirited conversation. Keep it clean and to the point. Let’s see, $30 million would be a good estimate. Who is going to pay for that. Show me the money and where its going to come from. Traffic thru VOC , quiet, private and stunning beauty. Yep just what everyone wants, more cars zooming by in the village bringing more development and more traffic. New roads breed more traffic. Its called sprawl. Traffic over the bridge into Sedona neighborhoods. Yep, they’d be thrilled with that. Environmental impact over one of the most iconic of red rock scenic areas. Tourism is the business this town is in. We are all blessed to live here. Seasonal traffic has been poorly managed with money thrown down the drain. Tourism is vital to the area. Without it there would be NO Sedona nor would we have been attracted to it. At least the city is CLOSE to the root of the issue. The Y , but is not inclined to address pedestrian crosswalks with any urgency. That’s our job. The trouble is, they don’t listen. They only spend without common sense. 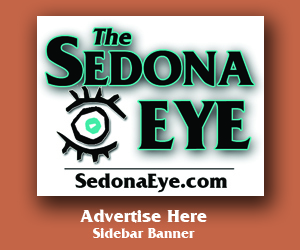 If the City of Sedona hadn’t signed the contract with the chamber of commerce to advertise for even more tourists but instead taken the recent $2.5 mil to the chamber to provide for maintaining roads, how much better off would everyone be – except those at the chamber who receive the great cash giveaway? People discovered Sedona long before the C of C advertised – even Sedona’s Mayor is on record with that statement. So go figure. Why all the praise to an outfit that haven’t proven they’ve produced anything more but Day Trippers? In depth mismanagement is the reason in that Nonprofit Neverland. Hi guys and ladies. I wish Sedona Eye would require real names so we all know who we are talking to. A couple comments after reading the above strings. 1: Tlaquepaque pedestrian crossing may be solved with an ADA compliant ramp down one side of the road, under the bridge, then up the other side. I believe SIM has discussed that possibility. That would really help on pedestrians stopping traffic, but we still have all the other issues mentioned. 2: Ms. Walsh, you had quite a laundry list, and I look forward to addressing your concerns. I was a part of Voice of Choice for SR179, and for about 4 years our group led by a variety of citizens met every Friday at KSB, held seminars, did marketing and in fact replaced at least three council persons to get the support of the city for the program. A lot of hard work, perseverance and education. In fact one of our members actually wrote a book on the process. First correction: I was not just a “few others” that stopped the ADOT plan that would have decimated the entrance to our wonderful city. There were many many people who were involved from retailers, real estate people and citizens of all walks of life. The final product is a bifurcated roadway in both directions replacing a two lane highway with no separation between North and southbound lanes, a real two lane road. It was dangerous with head on collisions, people running off the road and T bone accidents at intersections, one I personally witnessed. Plus the road surface has a mess. The final design was based on a number of charrettes that the public participated in. It is the public who made the final decisions. Many people do not realize it, but the existing road will handle 2 cars in one direction if an emergency vehicle needs to get by. Each lane is not legally wide enough to carry 2 vehicles in one direction but if a car pulls over into the bike lane next to the curb there is more than ample room to let an emergency vehicle pass, or if you are broken down, traffic can still get by. And the round a bout “sidewalks” are built to withstand the rear tires of an 18 wheeler. ADOT’s initial recommendation was 4 lanes. In that recommendation were 11 signaled intersections, one for every round a bout we have, sound walls, and left and right turn lanes that we currently have on today’s roadway. Some intersections were to be 7 lanes wide including the turn lanes, wider than I 17 in some areas. Not exactly what we wanted to see as the gateway to one of the most beautiful cities in the US. The proposed speed limit was 45 mph I believe. A roadway must be designed to carry traffic 20 mph over the limit, safely although you can get a ticket for it. But let’s just say it was 35 as I don’t remember. That’s traffic traveling at 55 with tourists traveling at 20. Sound like a good safe mix? And if you do not believe that would happen try and see how fast people race up the hill from Bell Rock rd northbound to the first NFS parking lot. Iv’e personally see 70+. Sound safe? The real estate folks were already excited about the property along the proposed route as most of it was up for sale to be zoned commercial. If you want to know what that would have looked like go over to Prescott Valley and drive 69 into the city. Commercial property creates traffic in itself it’s called “induced traffic”. Not what people wanted. We already have that in West Sedona. And you think West Sedona gets bad, wait until 4 lane 260 gets done and is signed “Sedona” at the I17 exit. Also it is a documented fact that round a bouts are safer as they reduce speed, and eliminate T bone accidents which can be deadly. The few fender benders we have had don’t kill. Hard to have a serious accident when people are traveling 15 mph and getting together at a 45 degree angle. There are many more things we looked at including paying for a professional traffic engineer to explore different options. ADOT originally came from the Eisenhower interstate mindset. Lots of lanes, lots of speed, move lots of traffic. 4 lanes? I don’t care how bad the traffic is you virtually NEVER have a backup on 179 southbound all the way to the interstate, AFTER you get by Tlaquepaque. So 4 lanes would be a waste. Your backup is northbound, and we already reviewed that. And since there is a huge amount of drive though traffic to the Grand Canyon, you could have made northbound 179 10 lanes into the “Y”…no change, you still have ONE and only ONE lane going up Oak Creek Canyon. Never going to change. 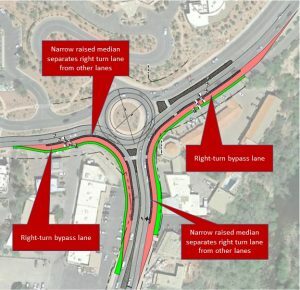 4 lanes would have fixed nothing except ruin the entrance to Sedona. Second Correction: You say I wanted no lights when Sedona needed lights. False. We wanted the city to KEEP ownership of 89A from the Y to the High School. And that was NOT just 89A. It is a 108 foot right of way with a road on it. We did not want west Sedona to look like a strip mall. And the only way to do that was to give the city control. The lighting we wanted was not the monstrosities that were put in, but what the city put in on SR179 from Canyon Drive to the Y. ADOT did not install those. They are lower profile, light up the sidewalks and also cover the street. In some places, 179 is WIDER than 89A and the lighting goes all the way out to the middle of the street, does a great job and becasue the color temperature is warmer, about 2800K the light does not bounce like the fixtures and lamps that were installed on 89A. I photographed them at 2AM just to show that those lights worked. We were going to have a new road surface, new sidewalks, new ADA switching and dollars for lighting PLUS $10 million in cash going into a special account for growth and future maintenance, AND total control of the road. Scare tactics prevailed…so now ADOT still owns it and Sedona has no say. It is what it is. Third Point: Correct – we were not in favor of Home Rule. We felt that in the last 24 months the traffic situation was out of control primarily due to over promotion by the COC. We wanted the city to take a break, slow down the promotion for a couple years. Occupancy in the lodging business has not changed in the last 24 months but traffic has. But we waited until we had a new PBA on the ballot so no one would lose anything before we started campaigning against Home Rule. Lots of lies and scare tactics were employed, it is what it is and Home Rule is the law for the next 4 years. Fourth Correct: PBA is a safety net as neither YOU or anyone else knows what the residents will do in 4 years when Home Rule must be voted on again. If you enjoyed the vitriol and the strife between residents and want it possibly repeated in 4 years, vote NO on PBA. PBA does nothing but run parallel with Home Rule. We already have a PBA, remember? Why would anybody want to leave it where it is when you don’t have to. Insane. It also automatically increases with inflation and population, AND the city council can recommend an increase in it at either of the next two election cycles. What does it hurt, what do you have to lose except less friction in town. The council could have addressed it last April, but refused to direct staff to even research it and report back. You want to learn more about it, then watch http://www.arizonaliberty.us/Video_Library.html. Fifth comment – schools. The schools are floundering due to lack of enrollment and previous bad management. We did not fight the override, although I was not for it, however Dwight and I the pleasure to meet today with the new superintendent, and I think I can speak for Dwight also that Superintendent Dearden is an individual that for the first time in a long time can make a difference in this district. If I had not already voted, I would have supported the override, and I think it is going to pass anyway. Based on the goals and capabilities of Superintendent Dearden I would encourage anyone now that has not voted to go ahead and support the override so he can start making a difference in the district. Sixth Comment: We liked our city candidates, they offered new ideas instead of the same old routine. But that’s in the past and at least with Mr. Chisholm on council he and Mr. Currivan might be able to agendize some items so at least discussion can take place, which has been impossible to date. Seventh Comment: SFD. Two points: 1) we have a campaign finance attorney that works for us, Please do not make comments on a subject you apparently know nothing about. All our paperwork is in order and we hit all the mandatory filing deadlines with Yavapai County. I am not wasting any time on that. 2) SFD has the same components as any business. a) Customer Service, b) Specialized Truck Fleet, c) Buildings and support equipment, d) Finance and financial reports, e) employees and all that is associated when you have employees, f) contracts, g) PR (although not near as much as is being spent). A board’s job, ANY board is to challenge management with its’ expertise, set goals and objectives for management, and in the case of a board for a public taxing entity make sure that the taxpayers are getting the maximum value for their dollars. Remember we have a lot of people in this district on fixed incomes and and how their money is spent has to be a balance in providing the best service possible and still allow them to live in the community. And that does not include being suckered in by Phoenix construction companies and spending large sums on PR firms instead of taking care of the needs of the district. And no Ms. Walsh, I do not know everything, and neither do you. No one knows everything, that is a ridiculous statement. But in 54 years of working, mostly for myself, fortunate enough to be able to see many environments and conditions around the world and meet many people, I have had the good fortune of learning from others mistakes, including my own to make any endeavor I attempt a success. None of the three of us, Russ, Dwight or Myself needs the work, but our diverse backgrounds can make a good district even better. The status quo is never good enough, especially when it comes to public safety and responsibility to the taxpayers. Nice rebut Schroeder but heads up you can’t do the “under the bridge” thing, flash floods, drowning, etc bad for tourists & residents & business. Been there when it floods, you might go see next time, cars float in TlaK parking lot really well. LMAO take a can of paint & see if he’s right, what you got to lose? Bet you Michelle at paint store will donate. Mr. Schroeder, thank you for so quickly responding. I am very familiar with the book written by Janet Sabina and having lived through that debacle of yours as well as the Voice of Choice on 89a, it’s no wonder why ADOT wants nothing to do with us. That really deflates one of your talking points in your SFD campaign that traffic hurts emergency response. Sure it’s slowed but not to the point that you’re asserting. As for your response to all of my other points, YOU seem to be the focal person spearheading all of those other initiatives. I love how you tout how you want to save our city with a “safety net” with your PBA. First, it was your paid (yes they were paid), petitioners mostly from Phoenix who came to my door telling me how THEY were trying to save the city if Home Rule fails. What they neglected to say to everyone was that YOU were trying to defeat Home Rule and that YOU were trying to SAVE the city with PBA WITH YOUR OWN NUMBER. That was so deceitful and I’m glad everyone saw through your ruse. I take that to mean that you fought against Prop 447 when you didn’t do your homework first. For a man who wishes to be the smartest guy in the room, doesn’t make you all that smart. Any person who meets Mr. Dearden learns within a few minutes that he will be an amazing asset to our schools and hopefully be able to save our public schools from people like you, Arizona Liberty and Sylvia Allen who have all different agendas but with the same result, defund our schools until they go bankrupt. It is your right to run for any position in the city and support any candidate that you like and it’s also my right to vote against everything that you support. Slow your roll, Mr. Schroeder. You left out the rest of the story about a certain election in November of 2011. The city council elected primarily because of their position against ADOT installing glaring lights along SR89A in West Sedona, went behind the backs of their constituents and voted for the City of Sedona to take ownership of that State Highway. It was after that when another group organized resulting in two ballot measures to reverse that decision. Remember? And some of the main players steering that successful committee had, in fact, participated on the ORIGINAL Voice of Choice committee resulting in the wonderful redesign of our beautiful SR179 scenic highway instead of the ghastly 4-lane freeway proposed by ADOT. PROP 410 – Succeeded to strike down the Sedona City Council’s decision to take back State Route 89A from the Arizona Department of Transportation. The “no” votes outnumbered “yes” votes by 1,733 votes (2,981 to 1,248) winning 70.49 percent to 29.51 percent, a 40.98 percent margin. PROP 411 – Succeeded. Requires any future take back negotiations approved by City Council to face a public vote before approved. The “yes” votes outnumbered “no” votes by 2,273 votes (3,226 to 953) winning 77.2 percent to 22.8 percent, a 55 percent margin. A lot of the negative response for incorporated Sedona to take ownership of any State Highways most likely originated with the end result of how they totally screwed up the small portion of SR 89A uptown which they DO own. That was and remains a disaster which it seems you might agree. This city cannot even take care of the roads it has and people obviously were smart enough to realize they no way no how should own a State Highway. Can’t help but wonder why, when just seven years ago, people rallied to make positive decisions but since apparently have either left Sedona or are hibernating to rest up for another scary decision that hopefully will wake them up. They surely did snooze through the last election which thrilled the movers, shakers, exploiters, greed mongers, and control freaks. Wonder where are the brains behind those two successful ballot issues that at least for the moment knocked the Royal Seven and their cheerleaders off their asses? Total BS ” I love how you tout how you want to save our city with a “safety net” with your PBA. They could see they would loose on Home Rule They came up with the PBA. That just happens to be lower then the current city budget, the only city in the state with a lower number……Now They want to take over the fired dept. And make it a privet /volunteer dept all because they think they are taxed to much…….. Say not to the PBA and the TEA party trying to take over our city and fire dist. Traffic – When SR179 is jammed from Back O Beyond to the “Y”, “slowed” is not the term. Station 6 can’t turn right out of the station. They can respond into the local sub divisions if they can make a left hand turn. In the village, transporting a person to an ER when traffic is a mess on SR179, can only be done by going down Verde Valley School road, taking 2 dirt roads over to Loy, then across a private bridge over Oak Creek, then into west Sedona to the ER. Efficient? Our real traffic issues started in the last 24 months. It would be interesting to see what a little less tourist promotion would do for the traffic load. That was the core of our objection to Home Rule – SPEND LESS ON TOURISM. Tourist town – yes, at what cost to the residents. It did not used to be this way. I am not sure how that defeats any program that we would look at to increase response times that you stated. I am not the focal person for “all the other events”. Arizona Liberty consists of a large group of individuals who do not like many of the things that are going on in this town. That’s all. We are not “saving” the city with the PBA. If you liked the nasty campaign, the lying, the threatening of the loss of grants (which were not going to happen) and the vitriol before the August election, then so be it. 19 cities have figured out that Home Rule is not necessary. But you just can’t jump out with a huge number, the Auditor General does not allow it. Yes – we do know more about the process probably more than anyone else in the city. We spent enough time in Phoenix to LEARN about it. Councilman Currivan tried to get the city staff to do a report on it, last April. Was rejected by council. He again tried to do it in June, and was rejected. So we did it, something that had never bee done by a citizen group EVER in the state of Arizona. Here’s the rub Ms. Walsh, you complain like others that the PBA we started with (it increases automatically every year with a formula driven by population and inflation) is not big enough. It doesn’t have to be. Home Rule always trumps PBA – ALWAYS. PBA runs parallel in the background and auto increases. We set it at $36 including the excluded items. You and others apparently don’t like it. Are you telling me that you like $24.3 million better? Really? That’s what it is today, and if Home Rule failed we would be stuck with it. NOT ACCEPTABLE. You like that? What if in 4 years the voters have had it with the council and the spending. Let’s say they are really mad. What’s your backup plan if Home Rule fails in 4 years Ms. Walsh? PBA will be an estimated $26 million and the city’s projected budget, their number, not ours is $42 million in 2022. If the citizens vote for 446, PBA on November 6th, by 2022 when Home Rule is up again, PBA will be an estimated $39 million. THAT’S YOUR SAFETY NET – NOT $26 Million. We do not have horns and a tail – it is a backup plan for the city that is already approved by the AG, bought and paid for. The only reason not to vote for it is that hate is getting in the way of common sense. You are 100% wrong about our signature gatherers. We had 9 DAYS to get 600+ signatures. We had 22 people gathering them. The city gave us no choice as we offered the PBA to the council and they refused it. Most of them didn’t know how it worked…amazing. 20 of the signature gatherers were local residents, including ourselves. We asked for help from AFP as we have done some phone banking for them over the years, and they sent up TWO people from Phoenix. We do not know if they were paid or not. They did NOT cost us anything. However – we had about 10 that we were willing to pay on standby IF we were not going to hit our goal. They were not needed. Here is the problem with your accusation. These petitions are NOT like a candidate petition. EACH gatherer must sign and have notarized EACH signature page before submission. Not so with a candidate petition. So we have notarized documented petitions from each gatherer. And we have the copies. The rumors are just that, rumors and are not true. I know evidence gets in the way of a good story. Please stop falling for it. AND – if you look at the time line, we did not start our aggressive campaign against Home Rule until we were assured that PBA was going to be on the November ballot as the PBA guaranteed that ALL past city expenditures over the last 5 years would not be harmed. Our “Number” as you stated came directly from the city AUDITED last 5 years financial statements and then we added $2 million to it. Not our number Ms. Walsh, the city’s. 447 – Your condescending attitude does not do you any credit. Defunding schools? Less kids defunds the district Ms.Walsh. That’s how the system works. We just closed one school. To say we had a lousy superintendent prior to Mr. Dearden is an understatement, and after the district witnessed the waste in the High School bond for people’s pet projects instead of educating the kids should make anyone suspect of motives. We did not fight against 447. Another incorrect assumption on your part. We were not for 447 personally until we had the opportunity to meet Mr. Dearden at the request of another individual. We will meet with anyone on any subject. Might be something you would like to try? . I guess you just did not read our post. Typical. I think the new superintendent has some very good ideas and is quite talented and both Dwight and I support his efforts. We have offered assistance if he has specific projects that we may help him with. 447 will pass. You can vote any way you want. Free country. But when you make wild accusations based on emotions, propaganda and hearsay and not reality it is our right and duty to lay out the facts as we were the ones that were living the reality. Thank you, Mr. Schroeder, for your insightful response, however, I’m not on board with your comments. How do you explain the fact that YOUR PBA is lower than a Sedona City budget??? I don’t understand how you say that “you just can’t jump out with a huge number, the Auditor General does not allow it.” and yet look at the PBA of Surprise?? While I really try not to listen to all of the naysayers in our town, the talk of a Tea Party mentality is surely looking more like what you are trying to push on Sedona. CUT SPENDING is all that it’s about. I won’t even go near the name of Currivan after his supporting of that Son Silver place. Since it is his favorite place to shop and his pushing special treatment of the owners to be pushed ahead of others in our town, tells me all that I ever need to know about him. Councilman Currivan tried to get the city staff to do a report on it, last April. And was rejected by council. 6 to 1 and by local business groups. Currivan is out of step with the other members of the city council, so he went to Mike Schroeder, The Arizona Liberty and cooked up a plan to lower the city spending and get tax money away from the voters by passing the city council. To get the ” PBA”, on the November ballet they bought in people from Phoenix to get the needed signatures, and even signed up non residents. A PBA by the way is lower then the current city budget and the only PBA ever in the state of Arizona to be lower then the current budget….. A TEA party trick to De fund government…. Now they are after the fire dist…. Your comment about Currivan’s support for the breach of zoning use at Son Silver got my attention. It has nothing to do with the subject of the above article but for sure his decision to support that illegal operation (although given special favors from former city attorney planner John O’Brien) was a disservice to surrounding residents. Let Mr. C. have little Tijuana in his back yard and see how he likes it! As a council member – well – enough said. Michael Schroeder has a lot of explaining to do ! ;He says,”you just can’t jump out with a huge number, the Auditor General does not allow it”.? Does he really think the voters art that stupid? Did Mr… Schroeder contact anyone at the city to help work up his number , the number he says was to” SAVE” the city? NO, He pick a number that would defund the city from spending he does not approve of, And if he was so worried about the Home rule not passing why did he fund the campaign to stop it ….. HUMMM Now he is running to save the fire dept We need to be saved from Mike and his side kick in the village. Who Sedona residents need to be saved from is Steve Segner and the failed advertising of the regional Sedona Chamber of Commerce. According to the City Engineer, Sedona traffic is 50% drive throughs. I.e., not traffic from AirBnb’s as Stevie claims. Far from encouraging drive-through tourists who do not stop here but are headed for Flagstaff or the Grand Canyon to stay on I-17, the Chamber is bringing them into Sedona to clog our highways. The greatest argument in favor of B&Bs vs Chamber 50% drive through day trippers? Air B&Bs almost 100% of them spend MONEY in our shops and restaurants and tourist attractions and groceries and pharmacies and pay at resort facilities for meals and spas and the like !! Air B&Bs allow homeowners to pay their city fees and taxes and mortgages. Air B&Bs bring adults and children to use City pools and facilities. that is what roads are for. that is what roads are for. The chamber is doing no advertising till this winter and yes the traffic is now from the new air b&b,s that’s OK we are a tourist town and all the sales help all of us. You mistake me for someone you know? I don’t live in Sedona, I live in east Scottsdale. I support Air BBs. You are short sighted. You could do the same with your house. Look what the upsides are before you denigrate due to lack of knowledge. There are studies even the government has provided our towns. Ask for them from your city government. No one is against Air BB unless they’re invested in a competing industry, like I’m not against agricultural concerns unless it effects my income. Sedona rocks are slipping away. Look at blasting in VOC. I gave my grandsons girlfriend to her job uptown last Friday. She makes $15 per hour at her job, under 30 hours a week. She can’t afford a car. After dropping her off, it took me 50 minutes to get from uptown to the Sedona city limits just past the high school. You wonder why you can’t find workers? Just add an hour to their commute. Day trippers are costing YOU money because you will have to pay your workers more. I won’t be giving her a ride again. With over 1000 Air BnB’s how can you possibly quantify that “almost 100% of them spend MONEY in our shops” ????? Chamber of Commerce marketing paid for by the City of Sedona is the source of the 50% drive-through traffic clogging SR 89A and SR 179 now days. Chamber promos include billboards on highways advertising Sedona, “Visit Sedona” hoopla on flat-screen TV’s at Sky Harbor Airport, and brochures plugging Sedona in Phoenix resorts and various hotels. Instead of traveling I-17, careless advertising encourages driving through Sedona to visit Flagstaff and the Grand Canyon. Not to mention the c of c has received far more money from the city to spend on such frivolous advertising than the $2.7 mil for upgrading roundabouts (subject of article). What’s wrong with this rationalization? What else can be expected from obvious brain dead individuals? Where are they blasting in the VOC? New hotel foundation. Water plant has some issues too going on. The wastewater district? What have the incompetent money grubbers done now? I voted early. Voted Republican for second time in life. I hope you did. If not then do it now. Tell Democrats we won’t be sold down the poverty river by them bringing in illegals to take away even low paying jobs. The more illegals the more Democrats don’t have to pay living wages and don’t pay for healthcare out of their pockets but we do on being taxed. Think about it. It’s all about a strong economy and legal jobs. That’s what matters. For my Sedona store to succeed with or without tourists, I need a strong economy that Democrats don’t support. Welfare checks don’t shop in Sedona. Welfare recipients don’t drive to Sedona. Food stamps don’t buy food in Sedona cafes and restaurants. We’re a tourist town and tourist towns don’t succeed with welfare incomes. That’s not racist, that’s life no matter if I live in Mexico or China or Honduras so save your self serving BS comments tourist stores, hotel and motel and restaurant owners. If you Democrats that own most of the businesses here paid a living wage there wouldn’t be a need for illegals to come here. We’d all be employed. We’d all have rent and mortgage money because Steve Segner said 10,000 people are employed here. Well that’s more than our population so everyone is guaranteed a job. How much Steve do you pay your maids? Your landscapers? Remember if you reply we can check it out. If you don’t we know you aren’t. See you at the next meeting. Proposition 126 is NOT a tax cut, like some want you to believe. In fact, it would make it harder in the future to keep rates low by exempting the services industry from taxes and narrowing the tax base. If Prop 126 passes, it would rob legislators of their ability to create flexible, uniform and fair tax policy. It would also pick winners and losers for political ends and provide a special handout to the service sector of our economy. Vote against Prop 126 on Nov. 6! Prop 126 would affect all 7 million Arizonans — but only help a handful. Vote “NO” on Prop 126! Sign the pledge and be a part of the growing group of Arizonans taking a stand against a rigged economy! With so-called “conservatives” like you who needs liberals? This is one of the “backwards” props — You must vote YES to say NO new taxes. In general, almost anything that grows government is suspect, and likely should be defeated. If enacted, this expands government greatly, plus, it takes more money from us in a new tax, so clearly it’s a YES vote (YES, do NOT tax services). Right now the state has power to tax sales on goods but not on services, and it sees a treasure chest if it can add a new sales tax on services, which is what this proposition will do if enacted. Service providers are things like gardeners, barbers, doctors, car washes, real-estate agents, accountants, even writers like me (though I would argue the “shall make no law” part of the First Amendment forbids taxing speech). Our bills for service will need a sales-tax line, and you’ll have to pay more. Right now we have freedom from this. “Officials” are salivating at the idea they could soak so much more money out of us. The left does argue it is unfair for a person in business selling products to charge sales tax, but a person selling services does not. However, in the current system, tax is totally unfair all over the place, not just here, and needs repair. To help balance taxation for people who sell physical things, lower or reduce their taxes, don’t tax someone else “for fairness.” What a terrible idea. Government workers, leftists and socialists think that way. As you know, we’re having problems in this country with people like that. The bad argument being circulated that by stopping a new tax on half our retail economy, legislators will simply increase the existing sales tax is bogus. Future tax increase proposals (if, and when) are a separate battle unrelated to this vote. Creating new taxes is rarely if ever a solution to societal ills, which are rarely if ever a problem for government to intervention. Don’t delegate new powers to an already bloated government and bureaucracy. Perfect reply to Andrew Clark’s comment. Thank you. People have to know the entire reasons for a Proposition and to watch how the wording is twisted. Councilman Currivan voiced the need for a quantitative analysis of the benefits of proposed Southbound By-Pass Lane at the “Y” intersection. City staff indicated that the traffic consultants’ “intuition” was reason enough to condemn private property and construct a major highway improvement. I agree with Councilman Currivan. The analysis should also include the impact of additional traffic generated by SIM 1, the Uptown Improvements, assuming those are pursued. The City’s traffic control personnel have done a good job moving traffic through Uptown to the “Y”. However, is it possible that those surges of additional traffic from Uptown are part of the reason the Cooks Hill backup has become progressively worse? SIM 1 predicts a 64% improvement in southbound travel time through Uptown. This could result is an additional 600 vehicles/hr entering the “Y” roundabout from Uptown. (Transportation Master Plan p. 63-65). The current Level of Service (LOS) of this intersection is E-F and predicted to be F by 2025. (Transportation Master Plan Table 2.7, p. 37) What is the LOS when SIM 1 traffic impacts are included in the traffic modeling? Currently, Brewer/Ranger Roads from SR89A to SR179 functions nearly the same as the proposed Southbound By-Pass Lane. Would it be equally effective to improve Brewer/Ranger Roads as the Southbound By-Pass Lane and not construct the one at the “Y”? I also agree with Councilman Thompson that removing cars from the highway should be more of a priority for improving traffic congestion. The TMP (p. 120-121) predicts that Dynamic Message Signs (DMS) for Oak Creek Canyon/SR89A would reduce traffic by 16% and that DMS alerting travelers to conditions on SR179 would reduce traffic by an additional 26%. This is a combined traffic reduction of 42% through the Uptown/Gallery District corridor and at a fraction of the cost of SIM1 and SIM 4 highway improvements. If the Forest Service and State Parks would limit access to Oak Creek Canyon campgrounds and trail heads by implementing a reservation system and ADOT restricts road side parking, traffic to and from the Canyon might be reduced an additional 10% or more. We should be asking Council, the Forest Service, State Parks and ADOT to pursue these alternatives as aggressively as they are pursuing the highway construction alternatives. Been thinking about what Bacon wrote. Agree with much of his comment and disagree with it’s naiveté about the city and county. The four groups above that Bacon mentions have dissimilar goals and incentives making cooperation slim to none even on basic services or agreements. Some are elected issues and some are bureaucratic issues bumping into each other but they’re issues. Common ties that bind? Money and power. Don’t overlook their lust for FREE money; the city is a pig at the trough of state and federal dollars believing they are ENTITLED because the money exists and might go to some place else. 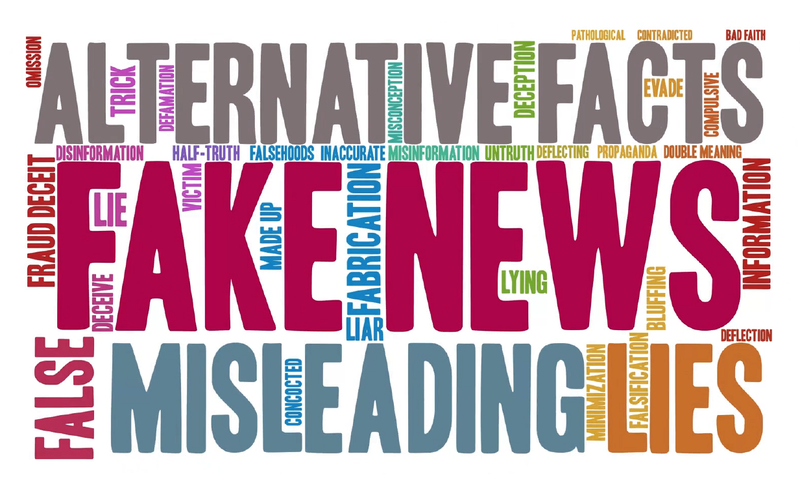 They’ll wrap programs in false language need packages to get it known in the real world as lies. We see it in the Village, we see it in Uptown, we saw it with the 89A lights. Now we’re seeing it with this proposed roundabout lane. Won’t do a damn bit of good but this council doesn’t care cause they got the money! They love the power of it. The impact on businesses be damned during construction AGAIN in this area. The impact on traffic be damned because they got the money. City grabs land by eminent domain that shouldn’t be the city’s but then that’s how these Democrats roll. Yes it’s partisan. Republicans are creating jobs and getting the city back on its feet but the Democrats can’t stand not taxing every one rich or poor and taking their cut of the money. Republicans equal Robin Hood and Democrats equal the Kings. That’s the real world today. Gratuitous Chamber of Commerce advertising using millions in City taxpayer dollars is bringing I–17 travelers bound for the Grand Canyon through Sedona. Highway billboards, flat-screen TVs at Sky Harbor Airport, and brochures in Phoenix resorts about Sedona have clogged the City’s two state highways, very negatively impacted traffic flow, and ruined our quality of life. Of course, the use of the Ranger Station Park is being utilized tonight for the Day of the Dead Festival at Tlaquepeque. I cannot believe those children and people are walking all along the road, no lights, no sidewalks. Very dangerous situation. When will we get our promised park?